There are many ways to make money online, and YouTube is one of the best platforms for earning money. YouTube is the second largest search engine after Google and has more than one billion users a month. Apart from movies, music, and other entertainment videos, people search for product review videos on YouTube before they take a purchasing decision. Product review video creation thus became a profitable career for many. 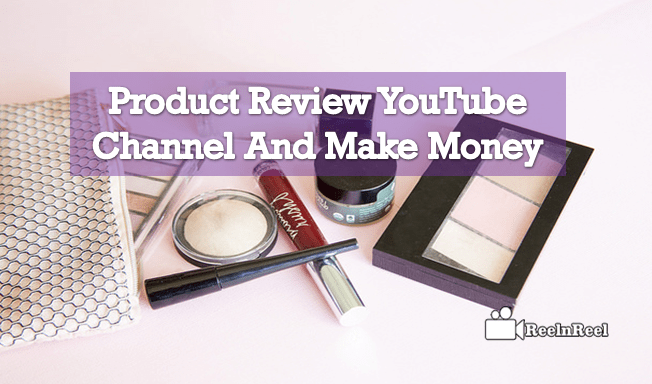 Those who love reviewing products and want to earn money can start a YouTube channel in a specific niche. The strategy of product review YouTube channel is explained here. What is a product review video? One of the trusted resources online for viewers is YouTube. According to studies, the content creators on YouTube are trusted by the audience when it comes to product reviews. It is proved that product reviews make a big impact on the purchasing habits of buyers. More and more people are watching online videos to get more information about products. If the review is positive, the audience is more likely to buy it, according to surveys. Product review videos are the videos where a product, its features, pros, and cons are described. The product can be a phone, car, etc. To start a product review channel on YouTube, first select a niche. Reviews electronic products may take time to get familiar, and there would need to buy the products at the beginning to review them. If the YouTube builds authority in the niche, he can get free products from brands to review them. After getting the product, reviewing it is the next step. Before that, sign up YouTube. Give a relevant name to the channel. Visual settings of the channel can be customized. Create a video and then upload it to YouTube. The higher the quality of the video, the more the viewers will trust the channel. Uploading the video will not bring the viewers. The video needs to be promoted. It can be done using the social media outlets. When reviewing a product be honest. The goal of a product review is to make help the audience make informed purchasing decisions. So if the product is bad to say so. Do not let the audience get the feeling that the product is being promoted to increase sales. The subscribers then might stop trusting the creator, and the loyalty will vanish. Start creating videos and keep posting them on the YouTube channel. Creating a high-quality video is the first step in optimization. Making the video short is also necessary because if it is long, people will stop watching it till the end. When ranking videos, YouTube considers the average audience retention. If people stop watching the video after first five seconds, the chances of getting a high rank are search results are reduced. Other things taken into consideration to rank the videos are the keyword optimization, views, backlinks, etc. The name of the video should contain the name of the product and the word review. This is the simple formula that works for the title. In the description, give the affiliate link for the product. It is also good to write a long description with all relevant keywords. Use relevant tags to help YouTube understand what is there in the video. Build backlinks to rank higher in Google also searches apart from on YouTube. After several videos are created, join the YouTube partner program to earn money. Enable the channel for monetization and YouTube will give the share of the income from advertising. Enabling ads on YouTube product videos is one of the ways to monetize the content. There are also other ways in which money can be earned. Affiliate marketing is another way to monetize the product review video content on YouTube. Apply for affiliate programs available online such as Amazon Associates. The affiliate programs will offer commission up to ten percent of the sales that occur if any visitor clicks on the link the YouTube provided. This is one of the popular ways in which product review channels on YouTube follow for quick income. Do not forget to include the affiliate link in the description of the product review videos. Brand deals and sponsorships is another way for YouTubers to earn money from their product reviews. Brands will approach the channels that have a good number of subscribers and are trusted by the audience to review their brand in their videos. There are third party marketplaces from where such relationships can be built. Choose a brand from the marketplace and send proposals for creating a video on their products. The brands then might accept and send the free product as well as pay the predetermined fee. YouTube influencers are very effective in building a brand and promoting a product, and thus for brands, this is one of the best forms of online marketing. Consumers can read about a product to get all the facts but watch the product in a video gives a feel for the functions. Ninety percent of the buyers say that their buying decisions are influenced by online product reviews. There is great demand for product review videos and creating them is profitable. Creating reviews is a simple but effective way to make money. More and more new products are launched every day, and so there is no shortage of opportunities.